Wouldn’t it be nice if they timed services on different routes to complement, rather than duplicate each other? For instance, trains on different lines that serve some of the same stations could be evenly spread to cut waiting times for some passengers — particularly at night when there are less services running. 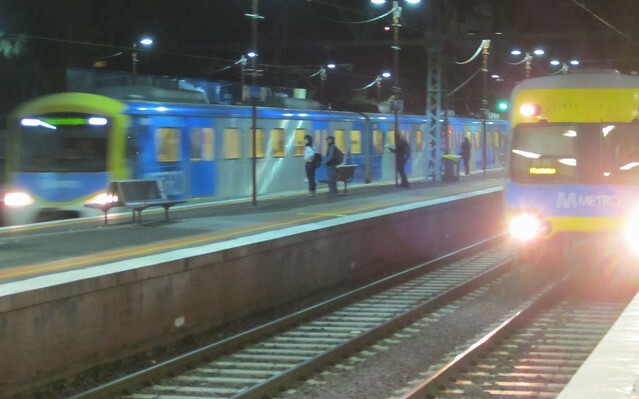 Every weeknight from 8:33pm to 9:53pm, when lots of people are still making their way home, trains to Sandringham and Frankston, which both run from Flinders Street direct (not via the Loop) depart at the same time, and run in parallel as far as South Yarra. Instead of providing a service every ten minutes between some of Melbourne’s busiest stations, they instead provide two services every twenty minutes. It’s a similar story if you’re heading out to Footscray, the busiest non-CBD station, after 10pm on weekdays. The two trains you can catch depart Flinders Street every half-hour, three minutes apart — and arrive at Footscray within a minute of each other.